Marilyn Manson Loves This New NARS LipstickThe new collection was designed and named by artist Connor Tingley. Marc Jacobs’s New Collection Will Make You Crave BagelsAnd also butter. A Hip-Hop Twist on an Old-World Luxury BrandSee the new line from Bally, Swizz Beatz, and Shok-1. Zendaya Has a New Job With Tommy HilfigerMove over, Gigi. Alexander Wang Will Design Technical Underwear NowFor between $15 and $40. This Plus-Size Collaboration Just Tapped the Best Possible ModelModel-of-the-moment Paloma Elsesser will star in the campaign for Jason Wu’s Eloquii collab. Burberry Is Collaborating With the Queen of PunkVive la tartan! The Cool Vans Streetwear Collaboration That’ll Sell Out FastAlyx is teaming up with the sneaker brand on six exclusive new styles. You Need to See This Handmaid’s Tale–Inspired Fashion ShowDon’t let the unfashionable bastards get you down. Belstaff Is Selling Rare Motorcycle JacketsA new collaboration with Vestiaire Collective features jackets from the 1960s and ‘70s. 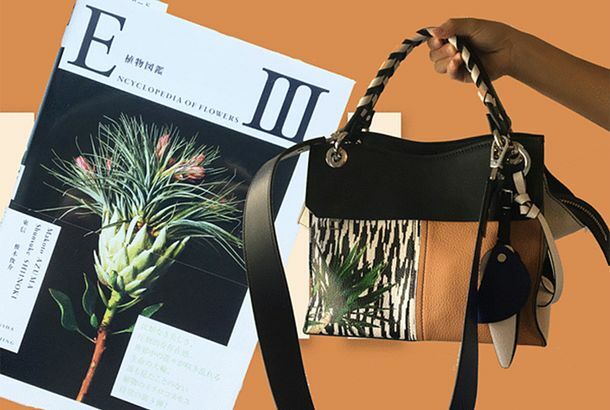 Check Out Proenza Schouler’s In-store Book ClubThe label has a new partnership with independent bookstore Dashwood Books in Soho. Mona Lisa’s Face Was Everywhere at the Louis Vuitton Party Last NightA new pop-up store features the brand’s collaboration with artist Jeff Koons. Yes, Even The Handmaid’s Tale Has a Fashion CollaborationIndie brand Vaquera is taking on the look of Gilead. Jeff Koons Wants You to Carry Around a Work of ArtHe’s collaborating with Louis Vuitton on handbags inspired by classic paintings. Rihanna Will Now Shine Bright in Diamonds She DesignedThe singer is collaborating with Chopard. J.W.Anderson Is Uniqlo’s Next Big-Name CollaboratorHis British-heritage-inspired line arrives this fall. Victoria Beckham’s Target Collab Makes Mother-Daughter Dressing Feel CoolSee all the looks from the upcoming collection. Louis Vuitton x Supreme Is Here to Tantalize the Hypebeast in Your LifeThis is what happens when two logos love each other very much. Vetements’ LGBTQ Tribute Collab Almost Sold Out in One DayThe brand collaborated with Comme des Garçons. Here’s Your First Look at the Full Kenzo x H&M LookbookSo you can make your shopping plans now. Kenzo x H&M’s Campaign Will Star Iman, Chloë Sevigny, Many Other CelebritiesAnd it’s shot by Jean-Paul Goude. Here’s a Sneak Peek at Kenzo’s H&M CollaborationThese looks are not for wallflowers. See Valentino’s Vanessa Beecroft CollaborationLike Yeezy, it’s a neutrals-filled scene. See All the Looks From Kenzo’s Jungle Book CollaborationIt’s available at Bergdorf Goodman starting today. Target’s New Collab Is Making Scandi-Chic Dreams Come TrueIncluding the mod-printed teepee you never knew you needed. Courtney Love Brings Her Style to MillennialsIn her new collaboration with Nasty Gal. Target’s New Collab Is Going to Crash SoulCycle’s Website Instead of Its OwnBrace the servers. Live Through This Courtney Love/Nasty Gal CollaborationKinderwhore redux. Beth Ditto Is Doing a Plus-Size Collab With Jean Paul GaultierA corset we actually want to wear. Beyoncé’s Athleisure Line Gets a Release DateHer Topshop collection will launch this coming April. Revisit the Best Fashion–Art World CollaborationsFrom Yves Saint Laurent and Piet Mondrian to Stella McCartney and Jeff Koons. Two People With Cool Hair to Collaborate on Even Cooler MenswearAlexander Wang and the Weeknd are doing a capsule line. What Kendall and Kylie Wore to Balmain x H&MPlus: party pics of Gigi Hadid, Alexa Chung, the Backstreet Boys, and more. A.P.C. Is Getting Into the Athleisure GameNow how do you say “athleisure” in French? Balmain x H&M Will Feature an Epic Staircase Dance-OffPlus, a hint about the musical guest. For Bottega Veneta, Campaigns Are an Art FormThe brand has collaborated with photographers like Annie Leibovitz, Nan Goldin, and Nick Knight. Max Mara’s Latest Camel-Coat Models Are DogsThe brand’s collaboration with William Wegman is making its rounds again this fall. See the Complete Balmain x H&M CollectionFeaturing red fur coats, gold blouses, and Olivier Rousteing–approved T-shirts. Did a Random Woman in Chicago Just Hack H&M to Get Balmain Photos?Collaboration intrigue hits a new high. Target’s Fall Collaboration Is Full of PlaidAdam Lippes goes tartan crazy. That New Lindsay Lohan Fashion Collab Is Out, Involves FringeAlso, tassels. Adam Lippes Is the Latest Target CollaboratorHis collection will be “all about plaid,” per his Instagram. Google and Levi’s Will Make Super-Smart JeansAre they the new smartwatches? Maybe Lilly for Target Wasn’t Such a Branding Blunder After AllPosits a study in the Harvard Business Review. Target Is Going Full Palm Beach Preppy for AprilThe retailer is collaborating with Lilly Pulitzer. Miley Cyrus Wants to Sell You Hot-Pink LipstickVia her new collab with MAC.